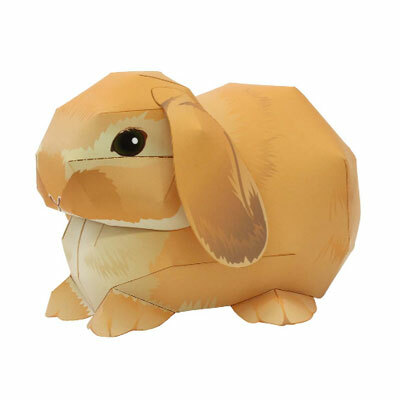 As promised, here is a good finding on easter related craft. It's creative and amazingly beautiful. 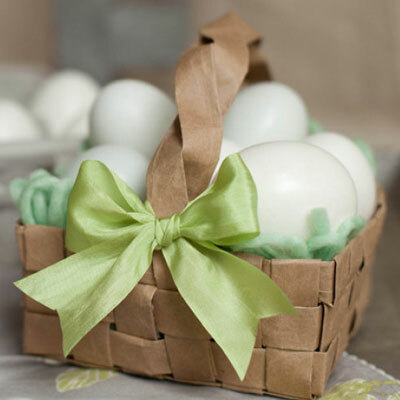 A paper basket to put your eggs and the fact that it's a product of recycling from your normal paper bag or grocery bag making it an awesome piece of art. This is really different that usual because there is no template or pattern to download but it requires your skill on weaving and following the step that are prepared for you. There is pictorial tutorials that you can follow as guidance. Honestly, video tutorials would be awesome but pictures are more than enough to be nevertheless. I have been looking for this because I have a friend who loves it. Well, I'm sure there are others who love Stitch as well. He is marked by his mischievous behavior, traits that endear him to his friend Lilo, who adopted him as her puppy dog. So why don't try making a paper model of him. It's cute enough as decoration. At least it is something that we build ourselves. 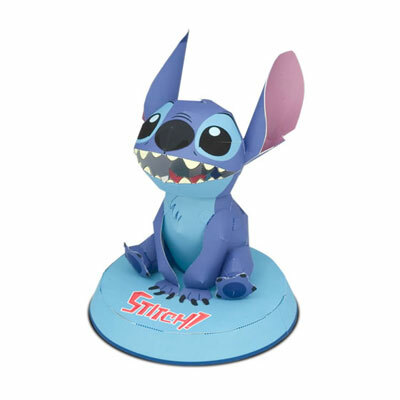 You can also print out a letter set with stitch theme at the site. 2 choices so make sure to check them out too. 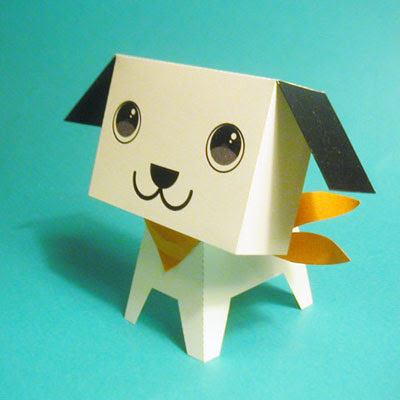 Well, this dog papercraft is created by Takeo Hayashi. Both the head and body are box shaped - making the construction sturdy. By using thick paper of your choice as a base, you can have it as a cool decoration. You can find this at the site together with a dog house to build for the puppy.